I love this display because it’s so fresh and spring like. It’s also fun and cheap to make. I always like posting something which involves children helping and this post is no exception. 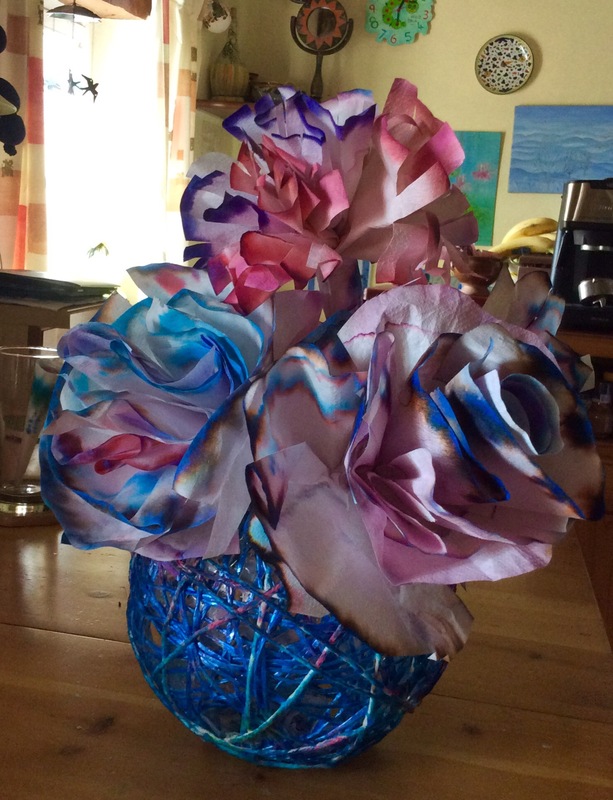 With help even the youngest will enjoy making the flower petals from coffee filter bags and they will learn a little about chromatography at the same time! The video instructions are on the link below. Putting the flowers together is more tricky and a task for older children or adults. The bowl is made entirely from string which is soaked in glue and wrapped around a balloon. 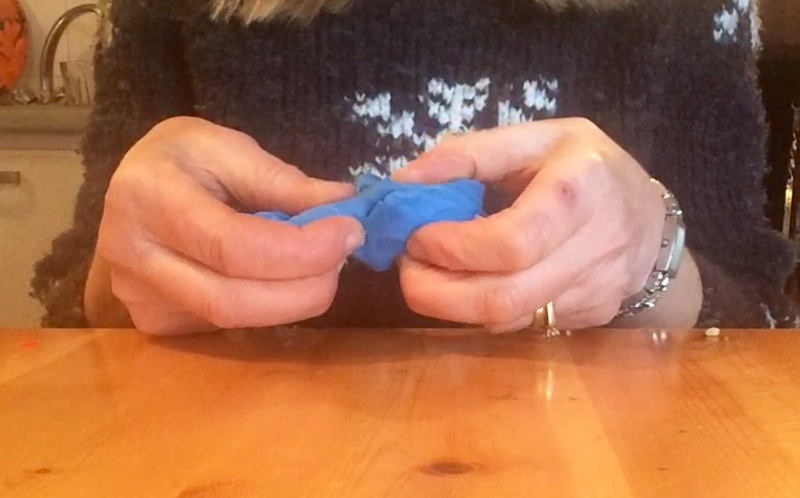 The fun bit that kids love is the popping of the balloon once the glue has set! The level of difficulty depends on the size of the balloon. For the blue bowl featured above the balloon was well inflated making it trickier to handle. At Christmas we followed the same procedure to make baubles but using much smaller balloons which are easier to handle. 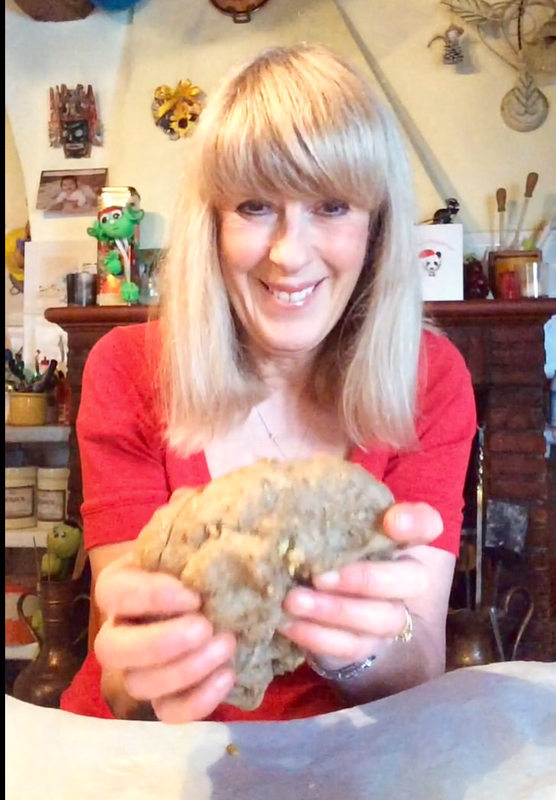 If your children are small my suggestion would be to help them make the smaller bowls which can be used for biscuits or Easter Eggs while you make the trickier large bowl. 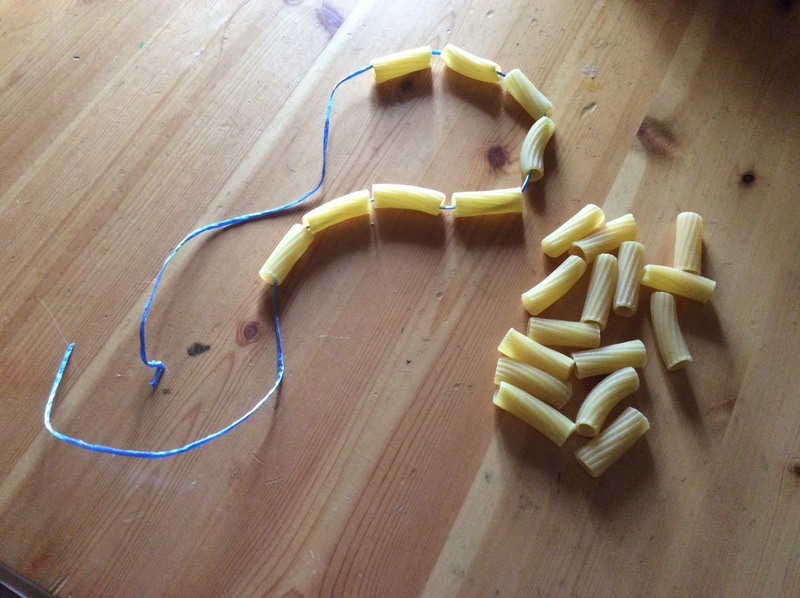 The instructions to make the string balls are given in ‘child friendly’ format on the link below. To make the balls into bowls all you need to do is cut them in half using either very strong scissors or a craft knife and then neaten the edges. I hope you enjoy. If you do please add a nice comment ! 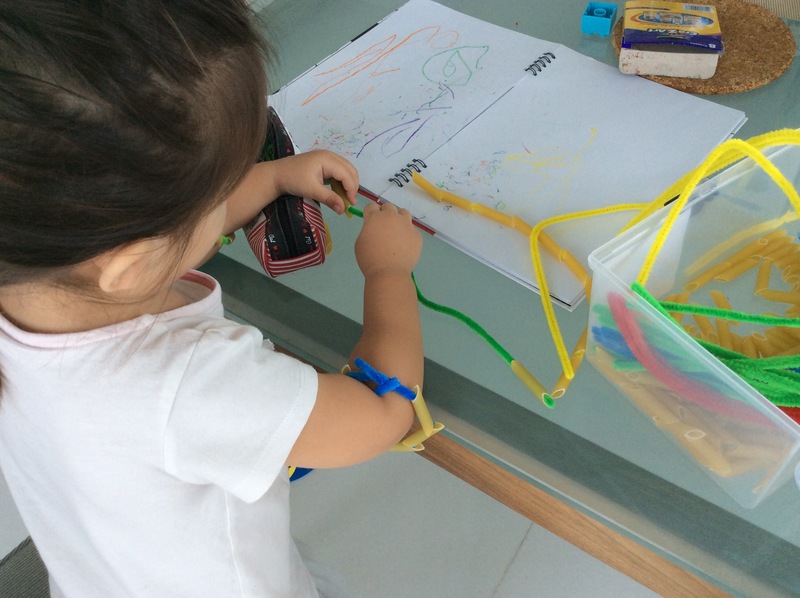 What are Fine Motor Skills ? The term Fine Motor Skills refers to the use and control of all the small movements we do with our hands and fingers (and feet and toes). A new baby has very little control of its hands and fingers but by about five or six months it is able to grasp an object with its whole hand. At twelve months it will be able to pick up small objects using its thumb and index finger. This is the stage when babies repeatedly ‘practice’ (often to our annoyance!) picking things up and dropping them. By the age of four most children can use a crayon, stack shapes, turn over pages and cut with scissors. All these actions require the use of muscles in our hands and fingers. Generally speaking the stronger the muscles the better are our fine motor skills and as our motor skills develop so does our hand and eye coordination. 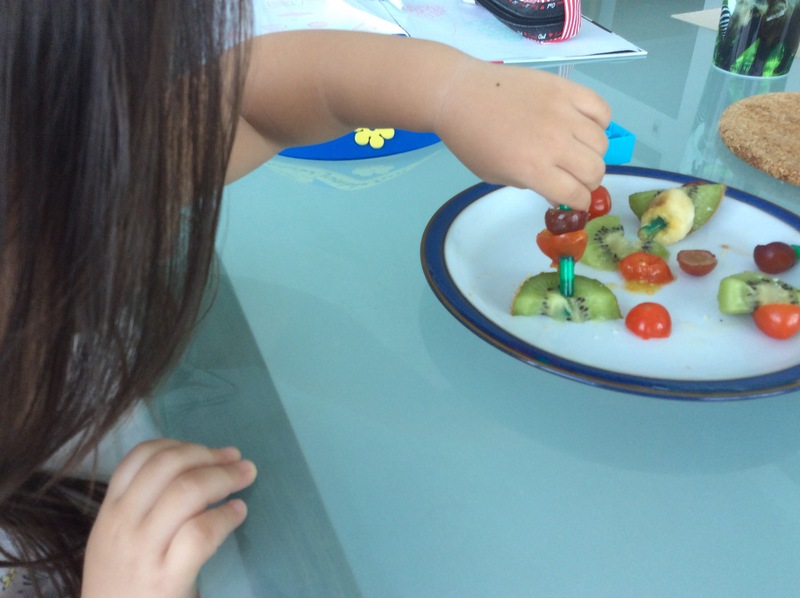 There are lots of activities which help to strengthen the muscles of the hand and fingers and also help with coordination and some of the easiest and most fun happen in the kitchen. 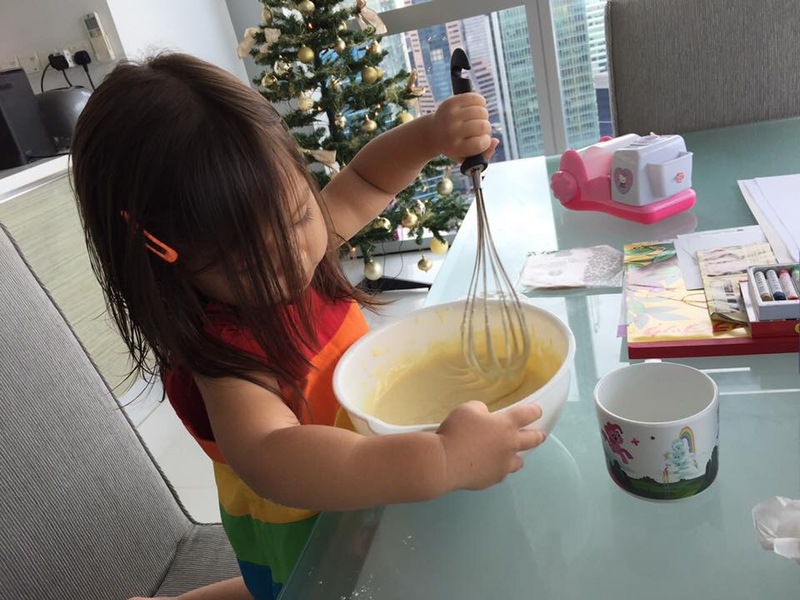 Children love helping to cook and bake and it is a great way for them to strengthen their hand muscles in addition to absorbing many basic mathematical and scientific concepts. If you think of all the different ways we use our hands when preparing food. Whisking cream, kneading dough, stirring soup, rolling pastry, spreading butter. The list is endless. Even picking up small pieces of food involves fine motor skills and the more practice toddlers have the stronger their muscles will become. But we do need to ensure that we demonstrate the correct ‘tripod’ grip. Once children get into a habit of picking things up the wrong way, for example in the fist, it is difficult to correct. There are some very ‘fun’ activities involving food. 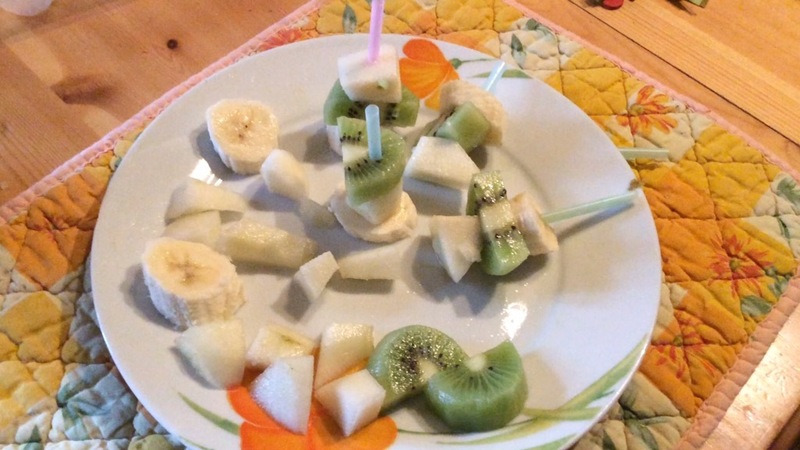 Why not make mini fruit and veg or cheese kebabs using straws. The fruit needs to be firm rather than over ripe. 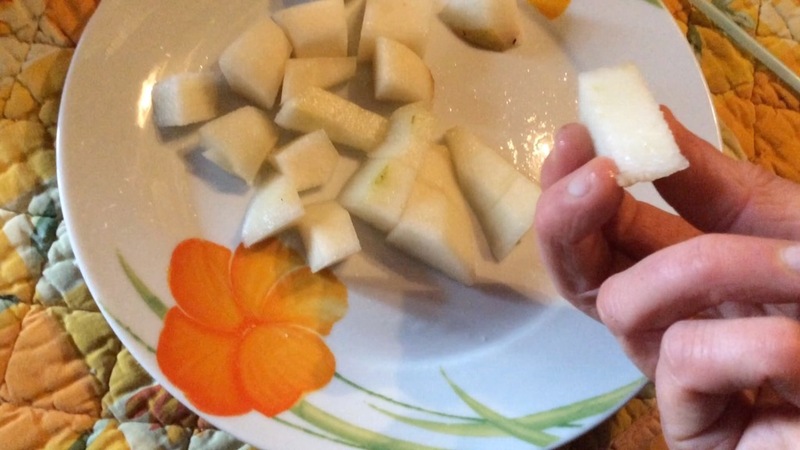 Pears, firm bananas and kiwi, apple, Melon and avocado work well and half grapes or cherries or tomatoes can be used as the end pieces. 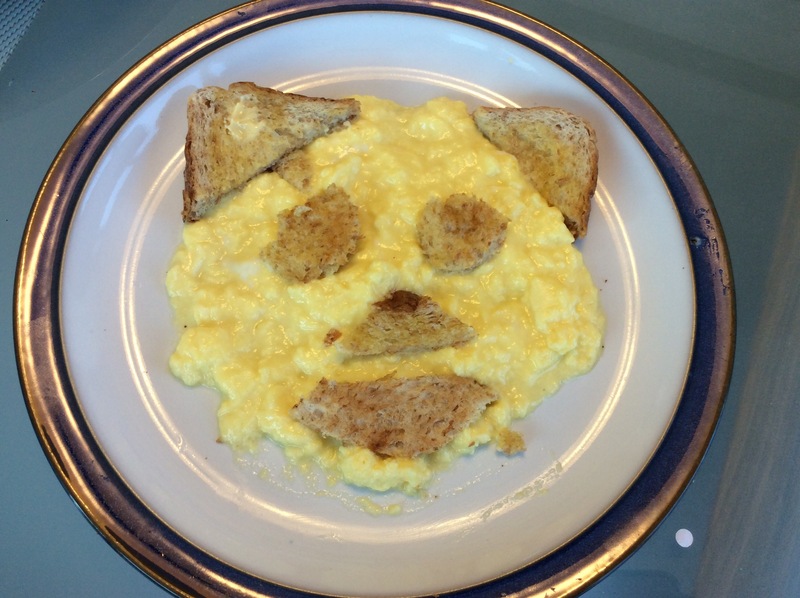 Even placing pieces of bread of toast on a plate of scrambled egg to make a fun face is great practice and improves hand-eye coordination. 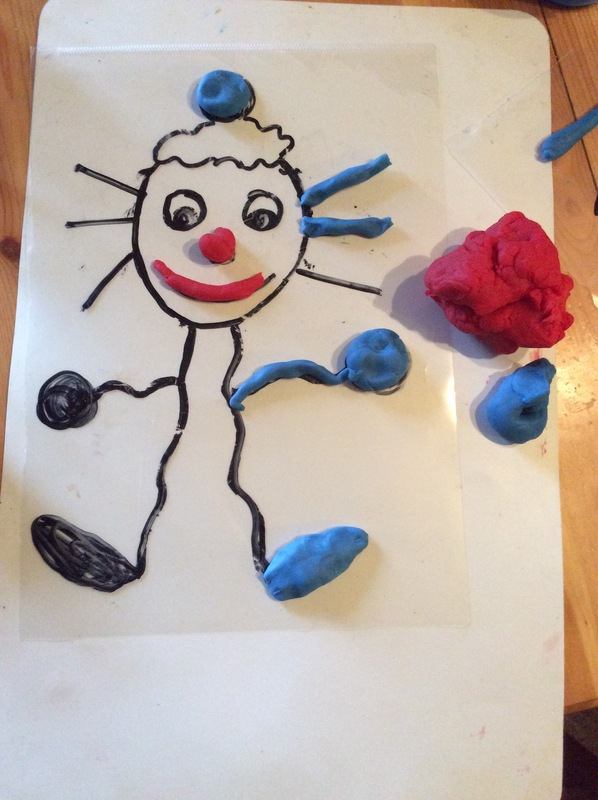 Playdough is a great medium for strengthening little muscles and for hand-eye coordination. Practice the tripod grip when pulling pieces apart . Exercise other muscles by squeezing and rolling and pressing. One activity I’ve found very popular is illustrated here. Different types of lines and circles are drawn on sheets of clear plastic. An assortment of wavy and straight lines, long and short lines plus different sizes of circles can also be incorporated into a design or simple picture. 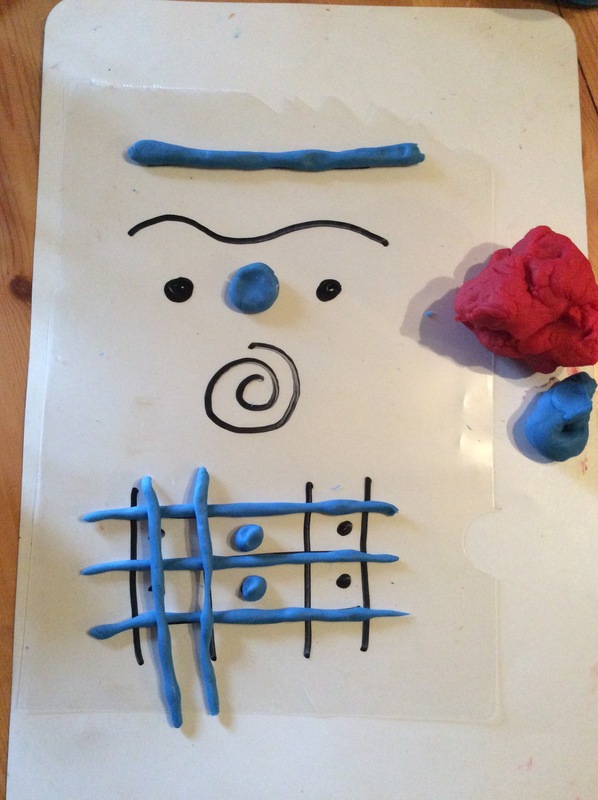 Then pieces of playdough can be made into the correct shape and size to fit over the lines and dots. Threading beads, pasta, rubber washers infact anything that has a hole and is safe is great fun. 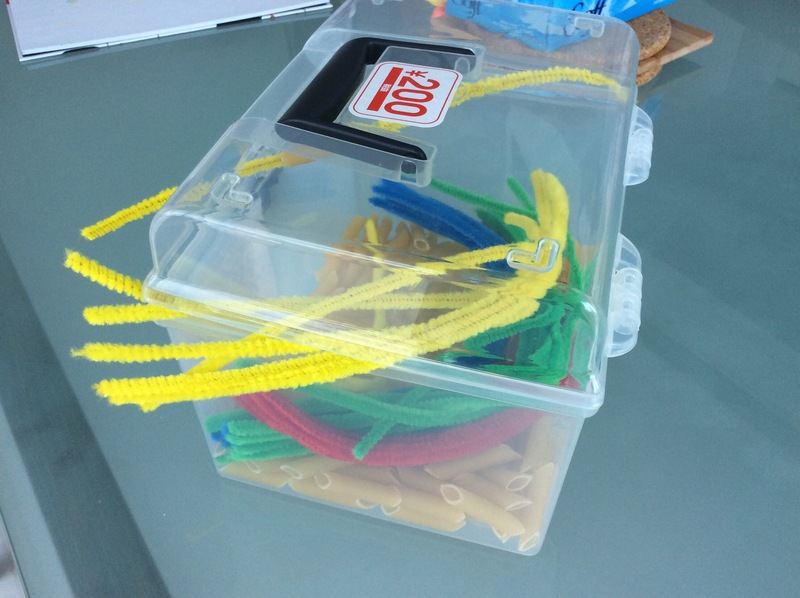 I like to have a lidded plastic box full of pasta tubes, beads, washers, together with plastic cord, coloured string, straws and pipe cleaners. 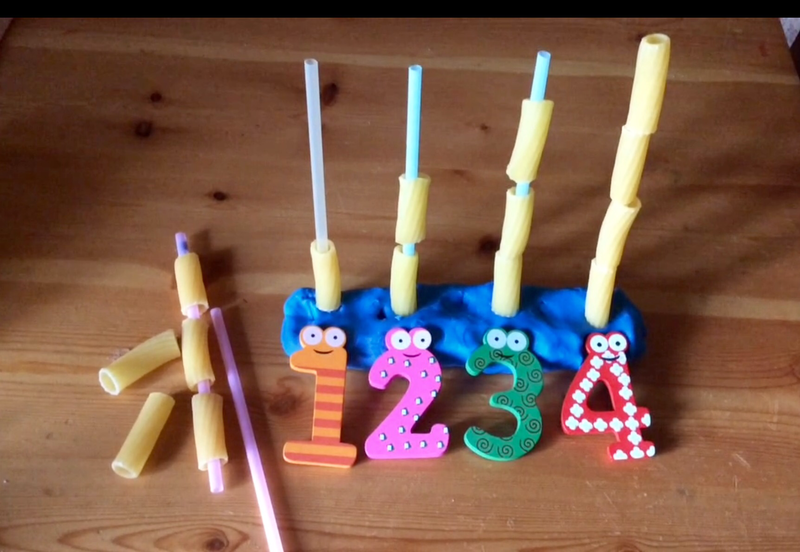 Children will happily play with this assortment oblivious to the fact that they are not only practising fine motor skills and improving hand-eye coordination but are also developing their creativity and learning about texture, colour and even basic number concepts! Not to mention absorbing lots of new vocabulary.